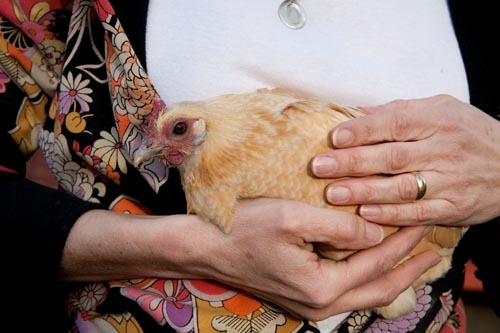 Did you know it’s legal to raise chickens in Del Ray? Legal, that is, if you have a lot large enough for your coop to stand 200 feet from your neighbor’s yard, which pretty much makes everyone who currently has chickens (and yes, there are a few!) in violation of the law. But a movement is gaining steam to modify that ordinance to align with our typical small lot sizes. A group that calls themselves “Hens of Alexandria” has created an online petition as a first step in changing the ordinance. As soon as they get 500 signatures, they’ll deliver the petition to the Alexandria City Council. They’re proposing that they city allow 1 chicken hen per 1,000 square feet of lot size and at least 4 feet from a property line, unless space is shared with a neighboring property of mutual consent. Roosters are not permitted. You can find more information on this campaign on their flyer, such as benefits, concerns, and more facts about backyard chickens. We met a family a few years ago who raises chickens in their Del Ray backyard. 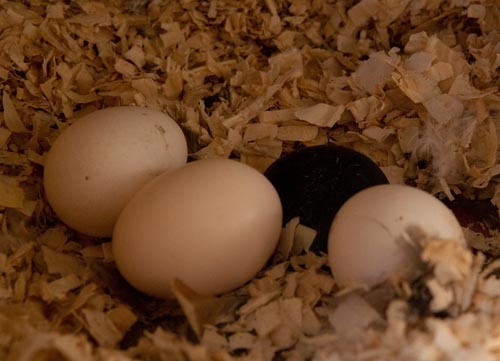 They consider the chickens family pets – they are docile, clean, and lay 5-6 eggs every day. 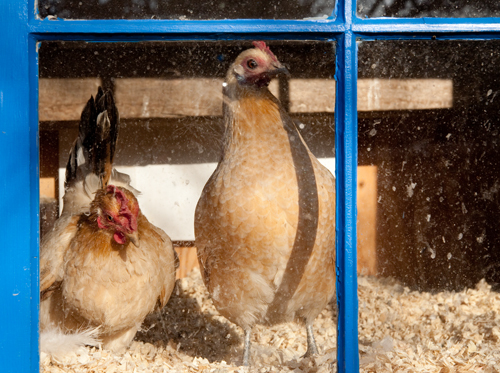 The chickens are free to roam in the yard and sleep in a safe and sturdy coop at night. If you want to get more involved or have ideas to share, you can email Hens of Alexandria and also follow a neighborhood Facebook group called Backyard Chickens in Alexandria.